We are the professionals when it comes to supplying a reliable and trustworthy moving van. Hire the best quality commercial van now at a cost that won’t break the budget. Man with Vans have a wide range of high class removal vans to suit all needs. From domestic to business needs we can help in all small removals. Nothing is too much for us we have a selection of different vehicles to suit your needs. All of our removal vehicles are the latest models and are regularly serviced. They are all safe and fully insured for your total satisfaction. Our moving van can be hire from a few hours to longer. Short or long term hire can be provided just call us and ask for further details now. Whether you have household furniture, antiques, electrical appliances we can sort it. We can drop off a vehicle of your choice and our representative will advice you on how to load the van and offer driving tips for your safety. We are highly regarded in the business and can deal with your needs. Call now and ask our courteous staff for more information and our latest offers in our removal van hire 020 8746 4432. Do you need to move valuable equipment, or a load of boxes, or a large sofa? Is your teenager off to college and needs to shift their personnel possessions to a new place? Whatever you need our moving van is the perfect solution when you want a removal vehicle to shift things from one location to another. We are a highly well thought of in the van hire business and have an excellent record in making customers happy. Our removal van hire is the affordable choice when you want the freedom to do your own domestic removals. You have the independence to shift more or less what you want. 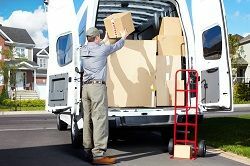 If you need some advice on loading our consultant will supply the necessary information as well as provide some helpful hints on maneuvering a larger vehicle that you may not be used to. Check out our informative website that has a full list of our reputable and reliable services. Our removal vans are the best and will do just the job. We are a long established company that knows what our customers want. We can assure you will be completely satisfied with our removal van hire, so get in touch now. Hire a moving van from Man with Vans now and get the best deal when it comes to shifting some things from one place to another. You can call and ask about our latest offers. We have a wide range of removal vans on offer in different sizes and styles to suit your needs. You can rely on us to supply a roadworthy and safe moving van for all of your moving needs. Our removal van hire is the best in the area and can deal with you requests. Call and pick up one of our removal vehicles fro a time length to suit you. Our rates are affordable and won’t break the budget. We supply a commercial van hire to businesses at costs that are within your means. All of our removal vans are excellent quality and are insured. We guarantee a first class service that we know you will want to use again and again. We will go over the general workings so you can have confidence in the move. Call us now 020 8746 4432 and book your moving van.